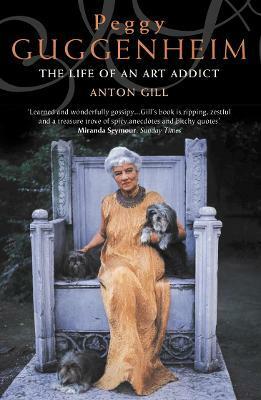 The wayward life (1898-1979) of the voracious art collector and great female patron of world-famous artists. Her emotional life was in constant turmoil - a life of booze, bed and bohemia (mostly rich bohemia). Her favourite husband was a drunken English dilettante writer called Lawrence Vail, but she bedded many others, including Samuel Beckett. Later she moved to Venice, where her memory is enshrined in the world-famous palazzo that houses her Guggenheim Collection. Anton Gill has written several plays and features for radio and television, novels and many distinguished works of non-fiction, including THE JOURNEY BACK FROM HELL: Conversations with Concentration Camp Survivors, which won the H.H. Wingate Prize in 1988 and is still in print as a HarperCollins paperback; BERLIN TO BUCHAREST (HC); AN HONOURABLE DEFEAT: A HISTORY OF THE GERMAN RESISTANCE TO HITLER; and THE DEVIL'S MARINER: A BIOGRAPHY OF WILLIAM DAMPIER.